If you’ve only visited consumer food shows, you’ve not experienced the vast B2B offerings that can be found at Food & Hotel Asia 2014. 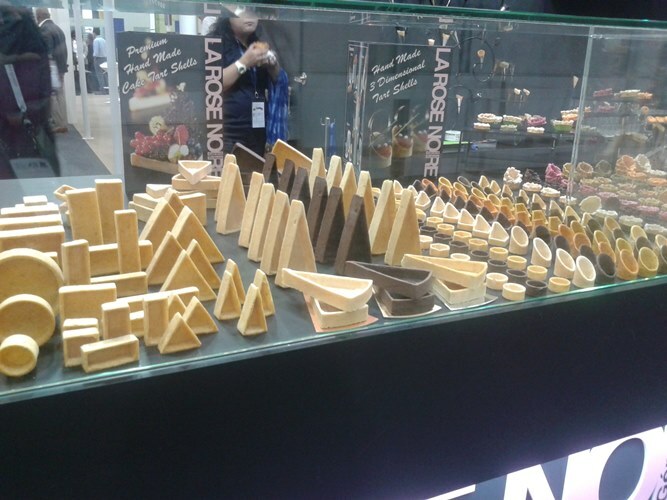 Held at Expo on 8-11 April, this industry food trade show showcased food-related exhibits from self-service wall ice cream dispensers to dancing chefs. 1. 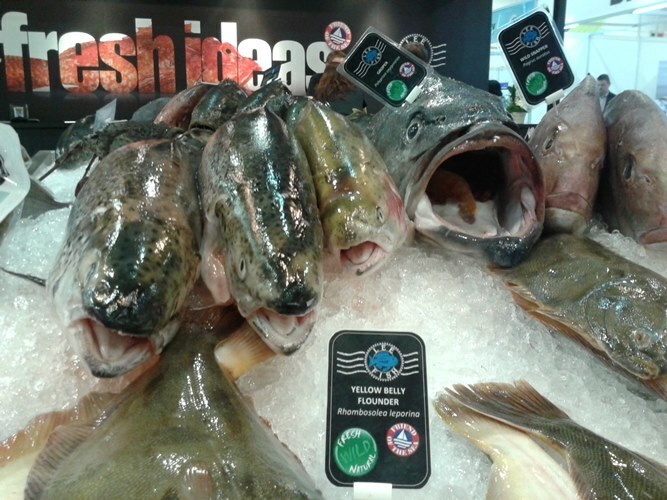 Jaw-dropping seafood: don’t be surprised if they get fresh with you. 2. 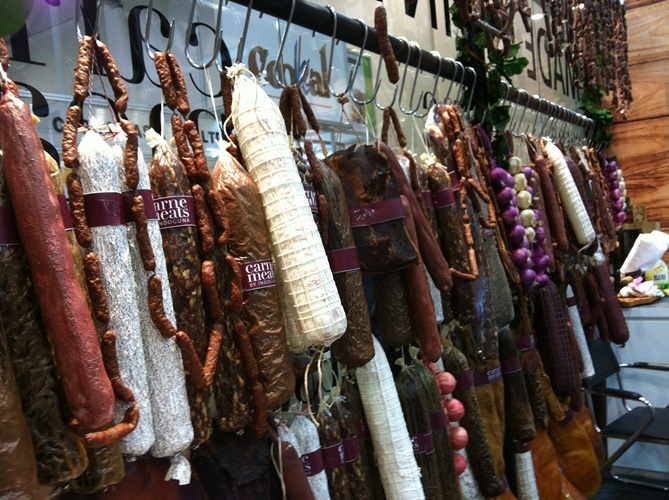 Made-in-Singapore meats: just like MOM’s Fair Consideration Framework, we should give fair consideration to the locally-produced. 3. Lazy pastry: there’s always an easier and smarter way to make your pastries look good. 4. 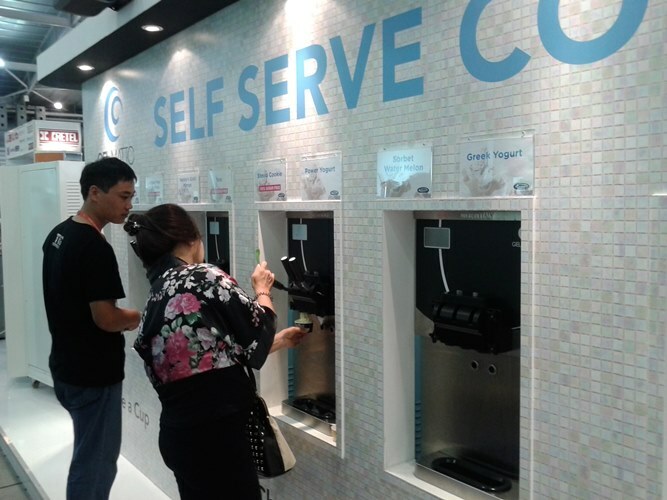 I scream galore: self-serving lady helping herself to every single flavour. 5. Waiting tables: staff-shortage? 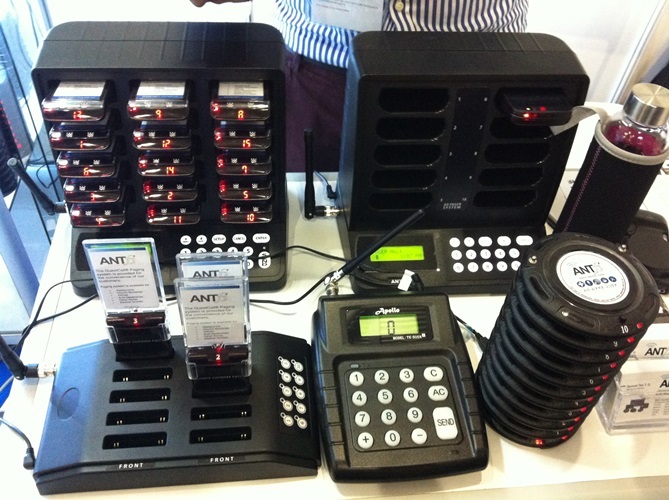 No problem with these wireless paging systems. 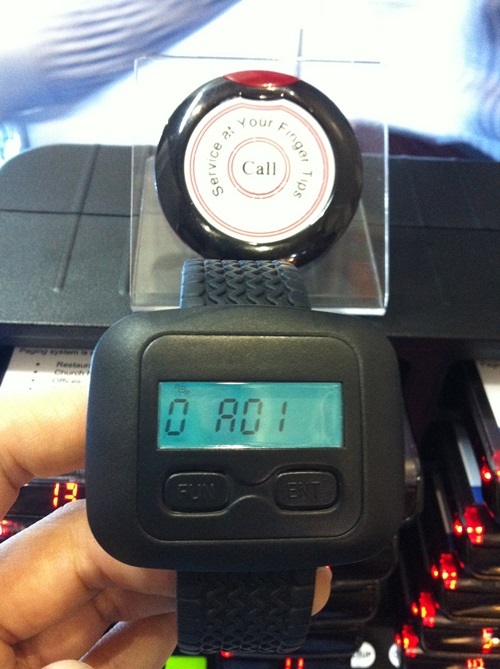 They even come in wristwatch and smartphone versions. They can even be used at hospitals, polyclinics or pharmacies so you don’t need to keep your eyes glued to the queue screen or jump up every time the bell goes “dingdong”. 6. 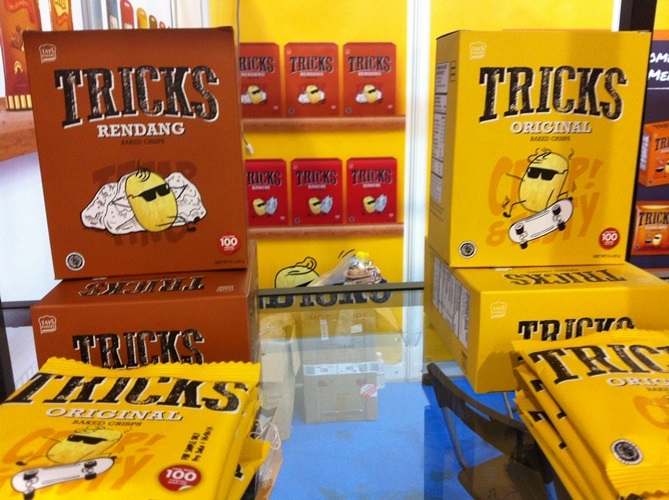 Rendang chips: because sour cream is too mainstream. 7. 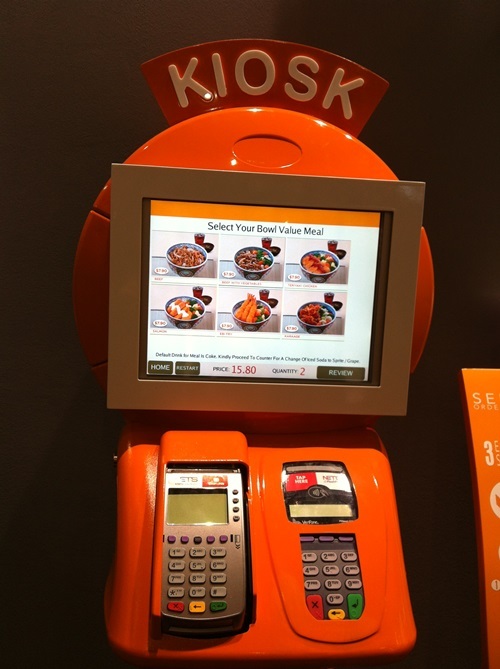 Self-service and payment kiosks: so you can save time to spend on Facebook. 8. 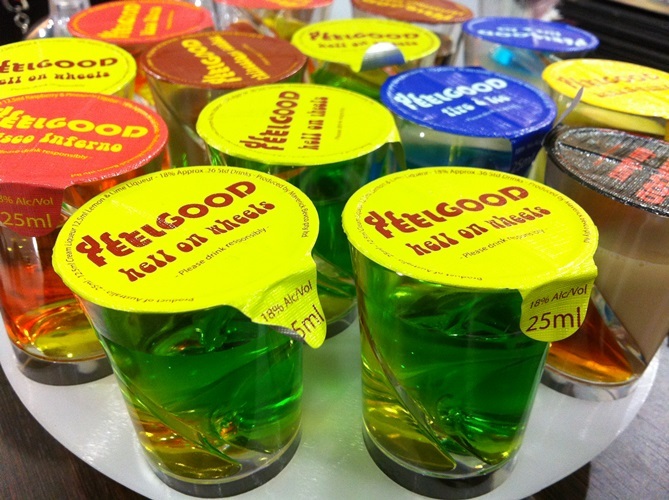 Sealed flavoured alcoholic shots: spill-proof but not tax-proof. 9. 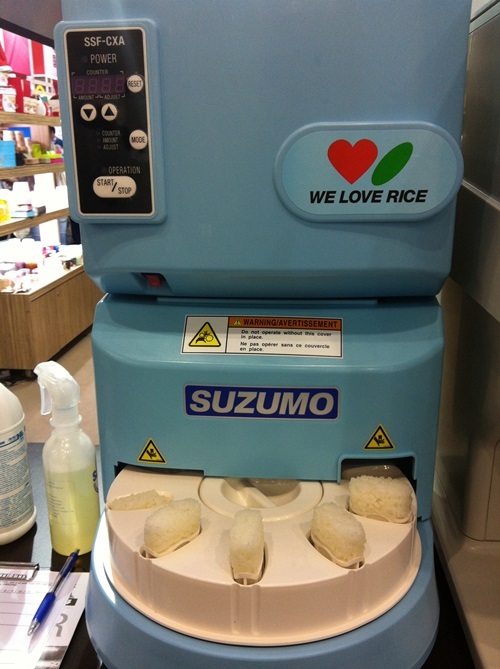 Sushi-making machines: don’t be surprised if you learn your favourite sushi is made this way. 10. Dancing Chefs: explaining hot air currents in an oven has never looked as entertaining. 11. Tomato slicer: for proportion-idiots who can’t create anything but salsa with a knife and tomato. 12. 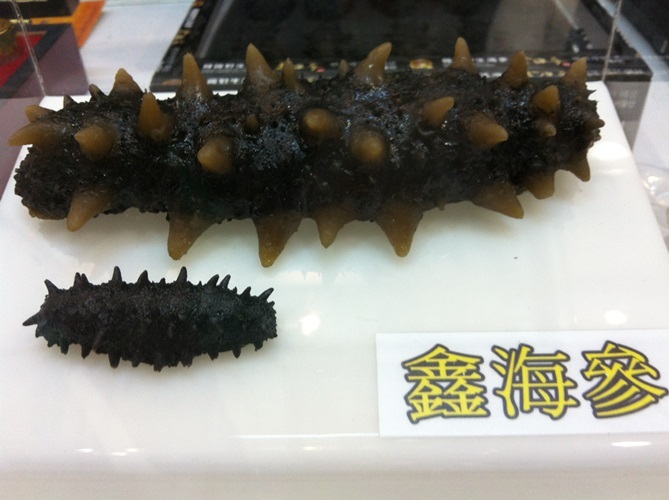 The inadvertent weird glob: before you report this post for explicit content, these globs are actually innocent sea cucumbers shown in wet and dry forms.